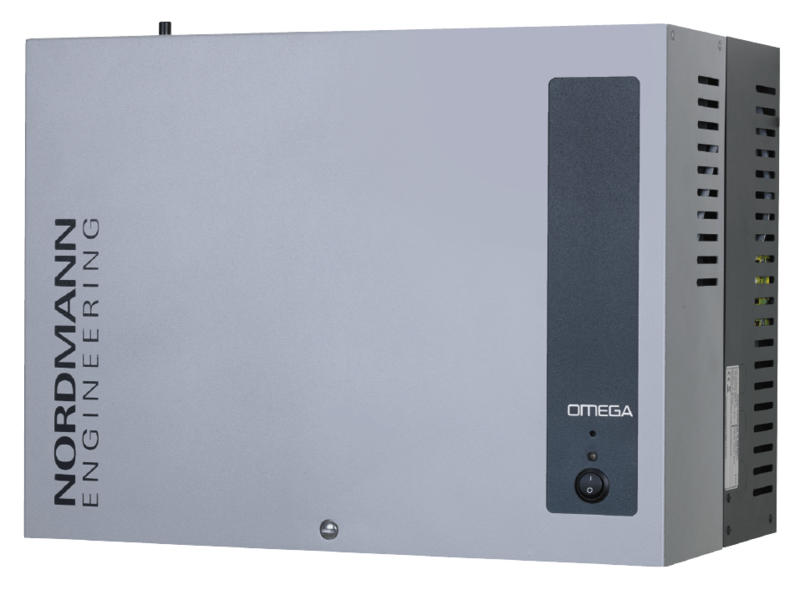 The Omega is a new generation of resistive heating steam generators. 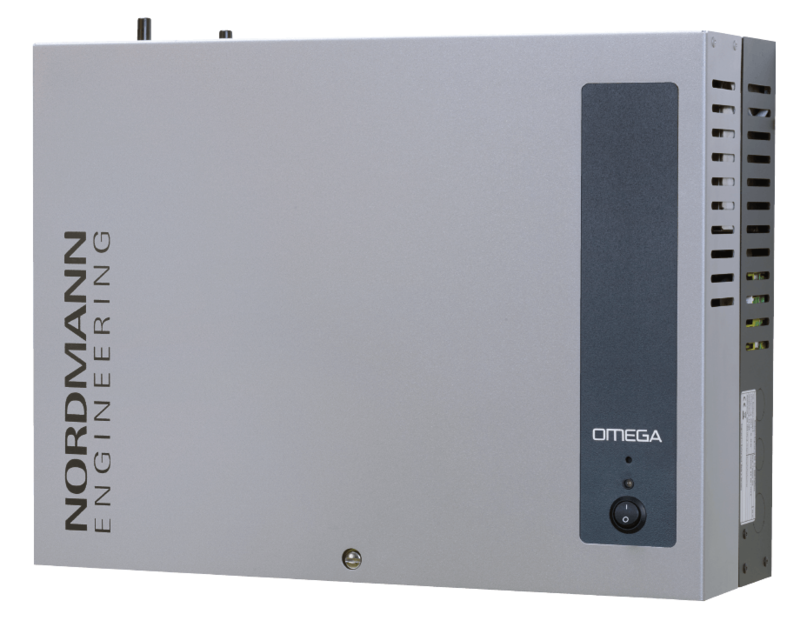 The Omega is the guaranty of fast steam production regardless of the quality of the water. It comes in 2 extra compact dimensions, basically the size of a laptop suitcase and can produce from 4 to 20kg of steam per hour. It produces steam in less than 4 minutes from ambient temperature and the keep warm feature enables instant steam production. Maintaining the Omega is reduced to the minimum and can be fully proceeded in less than 5 minutes Chrono. The 4.3 Inch touchscreen display enables numerous settings and programming such as timing sessions on daily and weekly basis, automatic on/off, instant steam. 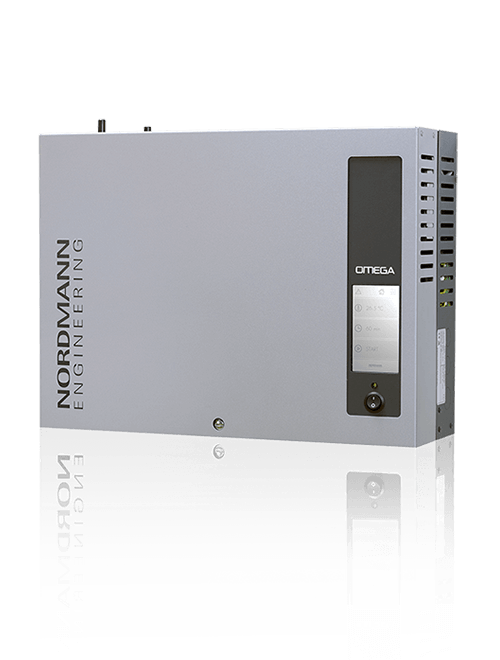 The Omega touchscreen even enables to troubleshoot the entire machine and solve any technical issue in a matter of seconds by simply following the instructions. 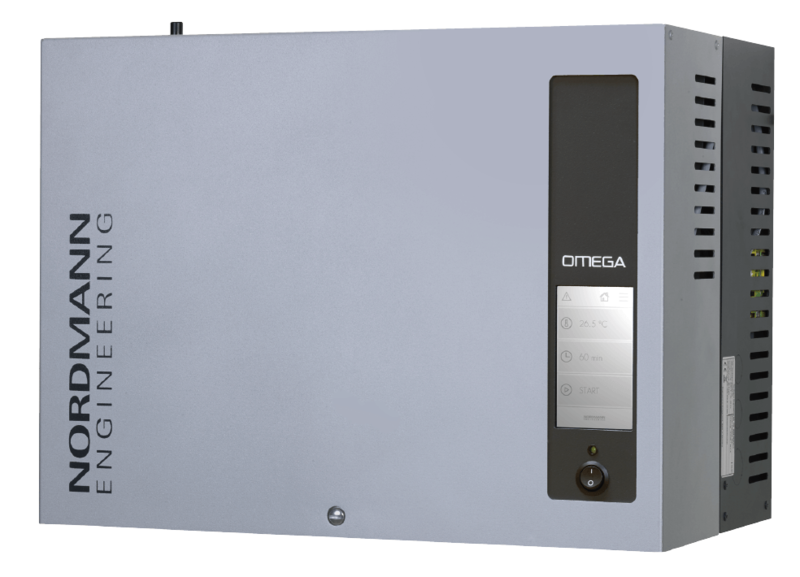 Alternatively, for an extremely cost efficient solution, the Omega is available without display and all settings can be adjusted via a web interface. The generator can be switched on and off using the integrated button or a deported button fitted on the steam cabin. The control of further functionalities for steam bath or sauna such as light, fan, fragrance, bench and wall heating, or music can be conveniently adjusted via our new integrated SPA Control. Thus further applications such as Caldarium, Rhassoul, Bio- and Fin Sauna and also the control of Dual-Cabins are possible. Optionally a Remote Touch Display can be connected to the Omega steam generator. It is available as flush-mounted or wall-mounted version, with only 19-mm wall oustanding. You have the choice from three standard frames: brushed chrome, white or black glass. There are two different display layouts matching to the selected cover. The cleverly designed magnetic frame construction, however, also allows steam bath builders to individualize the fitting with a material of the customer’s liking. The water cup seperates the freshwater from the sewage. So a contimination of the water is impossible. The steam generator can be connected to the input water line without the need for a disconnector.